Remember "I Love the 80s," "I Love the 90s" and all that? VH-1 has a new show, "Miss You Much," which hooks you back up with the celebs of that rockin' decade. And remember, you can buy our new book, "The Totally Sweet 90s"! What Donkey Kong would look like from Mario's point of view. Really neat! Snorks! Kissyfur! What kind of weird drugs were '80s animators on anyway? 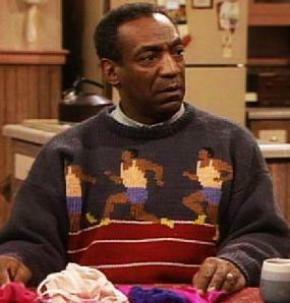 Is the "Combustible" Huxtable Cosby sweater the best one ever? Bill Cosby is asking fans to vote for their favorite (note: not necessarily the best -- perhaps the most eye-scorching) Cosby sweater in an NCAA bracket-style election on his site. We love the Combustible Huxtable one so, so much. Rifftrax always digs up those wonderful, horrible 1970s mental-hygiene shorts they made you watch in school. Our school never showed this one but we sure saw similar ones. 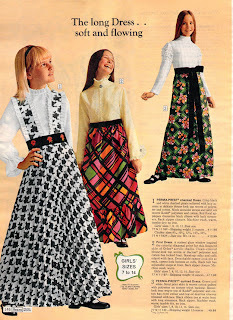 Remember when Gunne Sax meant the prairie dress look? By the 1980s Gunne Sax was a label splashed all over taffetta prom dresses that had more in common with Princess Diana than Laura Ingalls Wilder, but that wasn't always the case. Also in Chubby sizes! Yikes! Bonkers and Wacky Wafers are coming back! 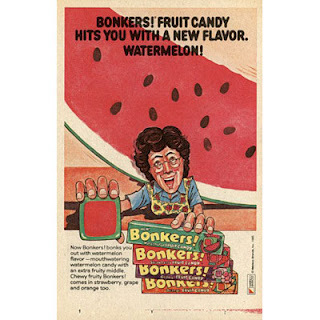 Did you love Bonkers and Wacky Wafers? They've been acquired by Leaf Brands, and are coming back by the end of the year! Thanks to Shawn of Branded in the 80s for this awesome news!